Let's make 2019 the year of your online breakthrough! From a feeling of overwhelmed and not knowing who to listen to, to confidently creating your first online course, publishing your book and building the exact business you dreamed about. 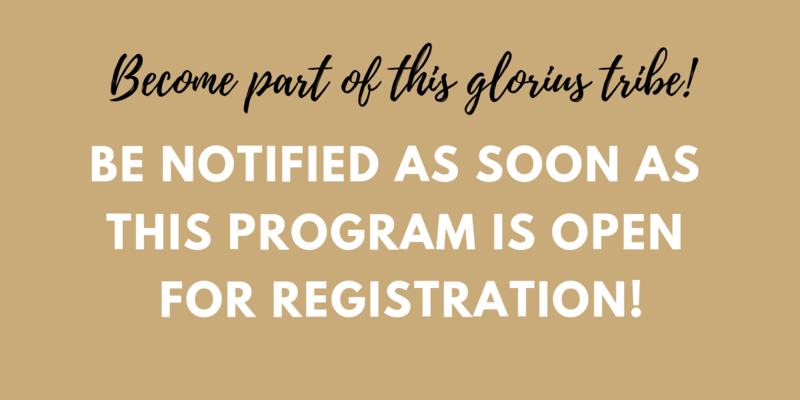 Registration is opens in May. Meanwhile, you can book a free call to get tips for how to best move forward with your business! This program is for big-hearted solopreneurs who are currently selling offline services and want to create their first online course. It is for generous action takers who are not scared to roll up their sleeves and do the work. But first and foremost, it is for lovely business owners who are eager to learn! This program is not only a stand alone online course. It includes comprehensive support both as a group, in smaller groups and 1:1. This is a 12-month business class which will teach you the skills, drive you to implement consistently and support your development as an online business owner. The program is all about showing you a DOABLE path and through step-by-step guidance you create your first online product. You will learn all the steps to create your very first and absolutely amazing online course! You will become part of this glorious, supporting, big-hearted tribe! Whether you are currently building your first online course, already have an online business or are still considering whether you should, we would love for you to join our glorious tribe! I would love to welcome you in the program as soon as I open up again. Ask any question you have about the program in the free Facebook Group or using the Contact form on this website. You will be redirected to the Glorious Course Creators free Facebook group after hitting this button. I would really love to meet you in there!